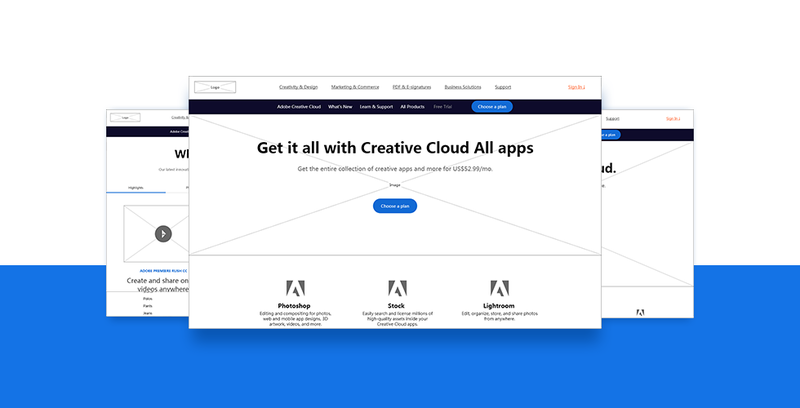 Adobe is a world-renowned design tool development team. It has developed a series of world-leading and outstanding software products in the field of design creativity, providing tremendous value to the design industry. The prototype of the website is mainly based on graphic and typesetting. The effect of one-level navigation pull-down is realized by the use of Navigation Bar, Pop-up Panel and Panel.